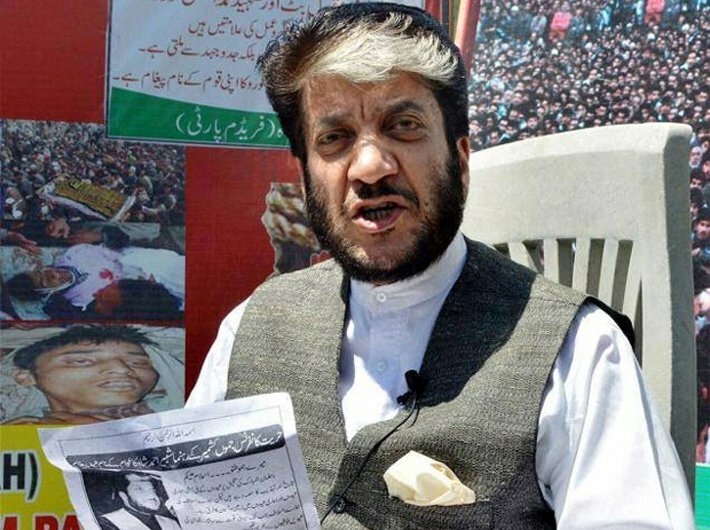 The National Investigating Agency (NIA) has arrested Shabbir Shah, who was once called the Nelson Mandela of Kashmir for his advocacy of peace, for his alleged involvement in money laundering to support terrorism in Kashmir. Shah, whose J&K democratic freedom party is a part of the pro-Pakistan All Parties Hurriyat Conference (APHC), was arrested in Srinagar on Wednesday morning and flown to Delhi for custodial interrogation. The NIA had already arrested seven others, including Hurriyat leaders, in connection with the case of terror funding. Shah, 64, was once the most jailed separatist in Kashmir and also the tallest leader of the separatist movement. According to former RAW chief A S Dullat, the union government had wanted to enter into talks with him for ending terrorism in Kashmir. In his book “Kashmir: The Vajpayee Years”, Dulat claimed Shah was released from the jail with an understanding that he would give a call to end violence and use of the gun and it would then trigger the talks between the government and the separatists. However, Shah demurred at the last minute and didn’t live up to promises he had allegedly made while in jail. He married a doctor and settled down in life while his political aura gradually diminished over a period of time. It may be pertinent to mention that the current phase of NIA investigations into the terror funding in Kashmir was triggered by the admission of Shah’s one-time close friend Nayeem Ahmad Khan. The two had parted ways years ago and Khan had got closer to Hurriyat (G) leader Sayed Ali Shah Geelani.